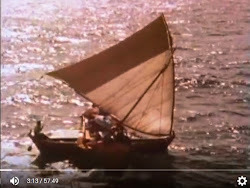 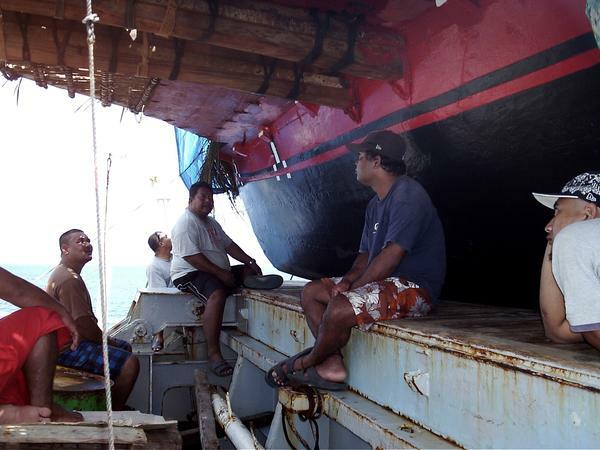 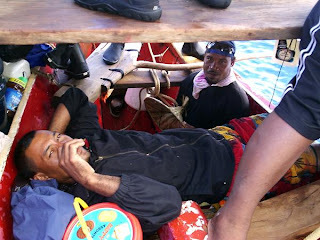 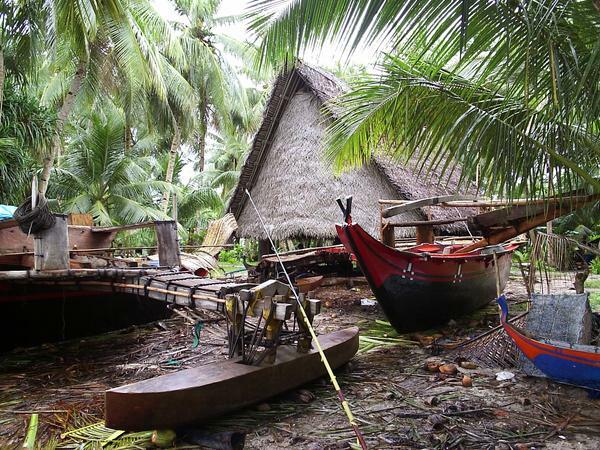 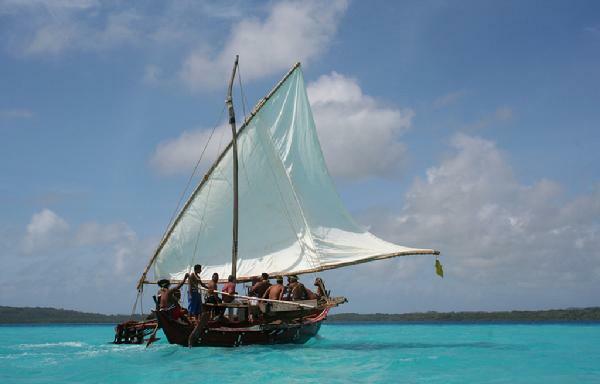 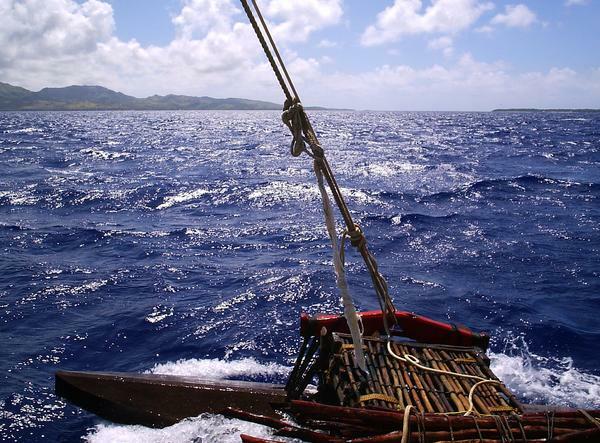 "In April 2010, two voyaging canoes led by traditional navigators and guided by the stars sailed across hundreds of miles of open ocean from Lamotrek in the central Caroline Islands to Guam in the Mariana Islands. 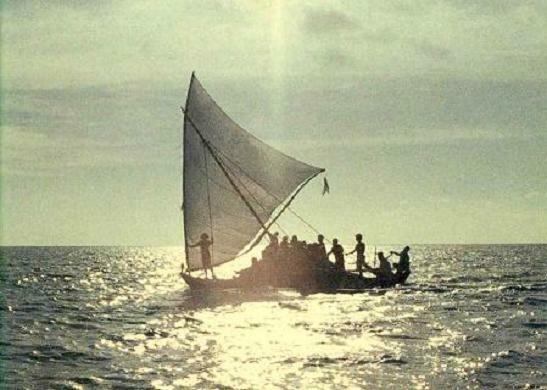 It was the first time in over a 100 years that such a voyage had been made. Two canoes, the Simion Hokulea and the Mathow Maram were selected by the Yap Traditional Navigation Society to make the historic expedition. 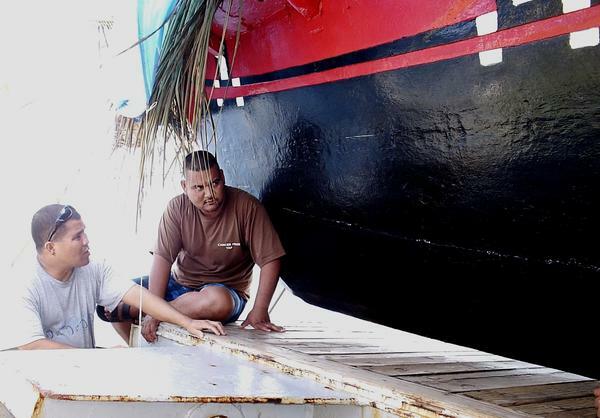 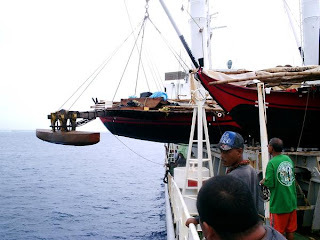 On April 14, the Simion Hokulea and Mathow Maram were loaded aboard the MV Caroline Voyager in Yap and transported to Lamotrek, a distance of approximately 600 miles. 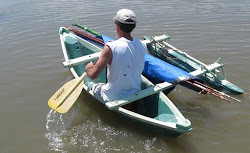 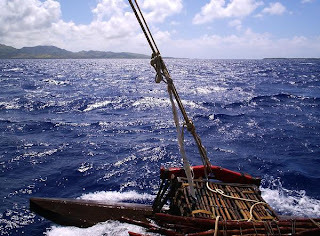 On April 26, the two canoes left Lamotrek and sailed across the 430-mile Metawaliwoal Sea to Guam. 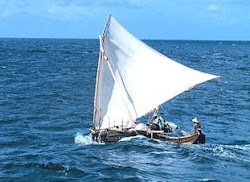 This historic voyage, which was also for the purpose of training Yap Traditional Navigation Society (YTNS) students in the use of traditional navigational skills, was under the command of master navigator Ali Haleyalur from Lamotrek. 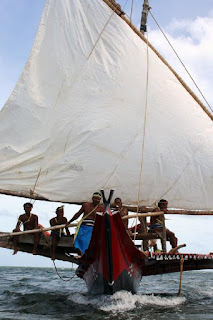 Haleyalur captained the 33-year old Simion Hokulea canoe which was originally carved and owned by the renowned master navigator Mau Piailug. 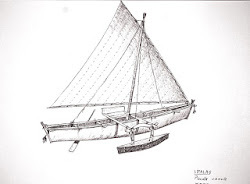 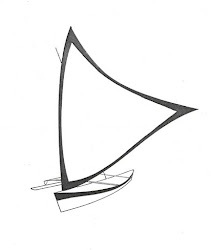 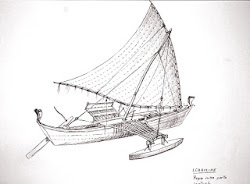 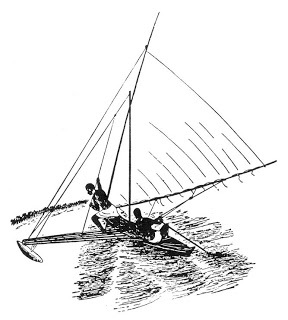 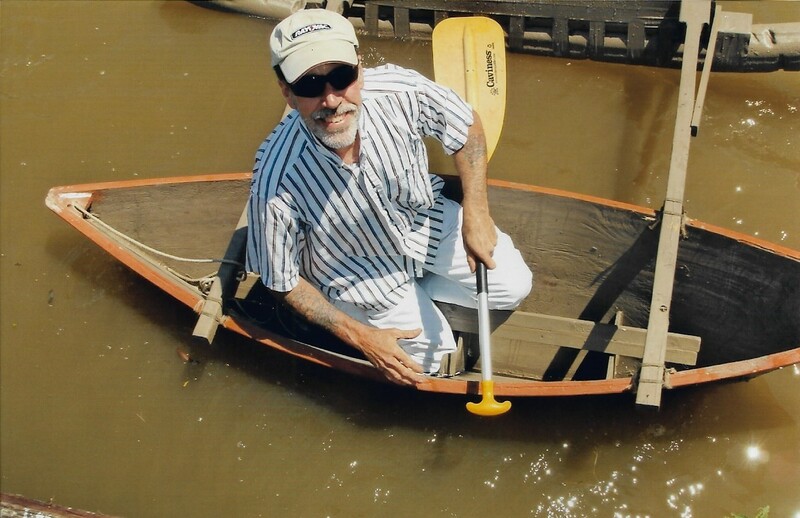 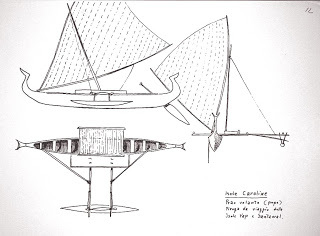 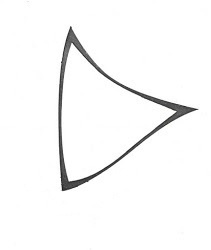 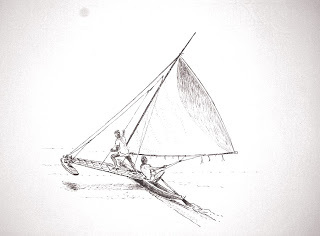 Master canoe builder Chief Bruno Tharngan from Yap captained the Mathow Maram, a canoe of his own construction patterned after the popow design common throughout the Caroline Islands. 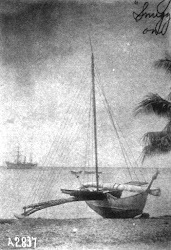 There were a total of 23 crew members involved in the voyage from Lamotrek to Guam. 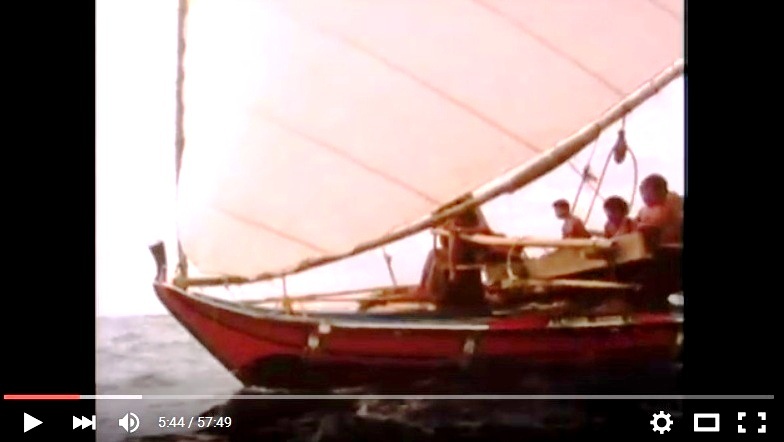 The Simion Hokulea crew was made of up eleven students, Captain Ali Haleyalur, and myself, Eric Metzgar, whose purpose was to document the voyage for the YTNS archives. 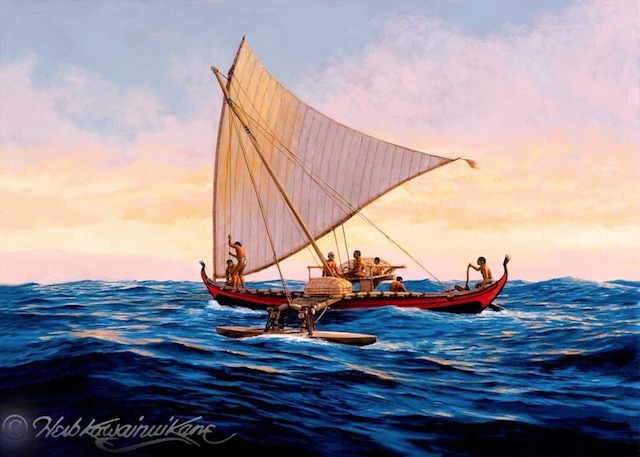 The members of the Mathow Maram crew were made up of ten students, Captain Bruno Tharngan, and Leo Racheilug, Chief of Satawal and a master navigator, appointed by Ali Haleyalur to assist Chief Tharngan with the navigation of the Mathow Maram. After arrival in Guam four days later on April 30, the YTNS sailors were sponsored by the Traditions About Seafaring Islands (TASI) organization at their Sahwan Tasi Fache Mwan canoe house in Paseo de Susana. 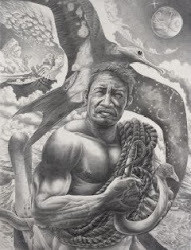 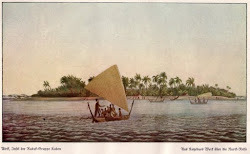 TASI was our generous host for two weeks until May 13, when both canoes departed Guam and sailed for Yap." 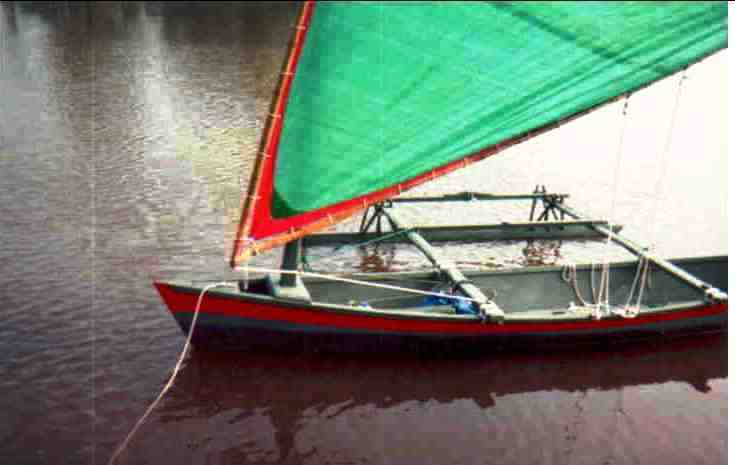 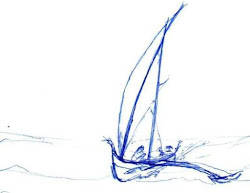 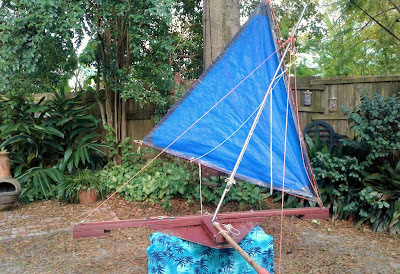 contains a couple of shots of sailing downwing "cross-rigged".